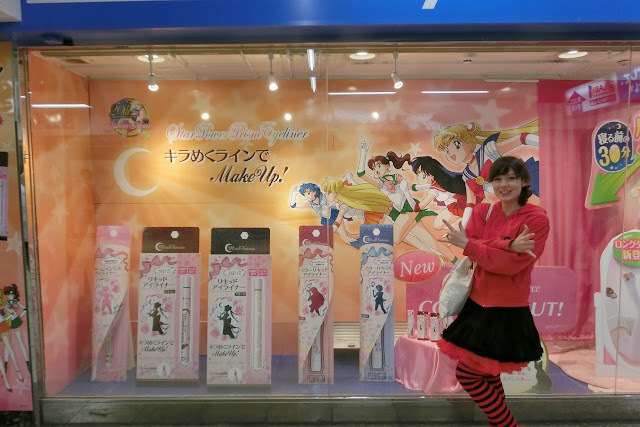 Cafe Harajuku by CanUdoitCat: Sailor Moon Make up?! Cat: "So, yes, I am really worried about that situa- OH MY GOD ITS SAILOR MOON!!! I dashed forwards and put my nose against the window of the beauty goods store I had seen. Indeed, it featured a large, life size display of Sailor Moon .. but what for?! Turns out, within the Sailor Moon 20th anniversary, they started to bring out a whole make up collection called "Miracle Romance". 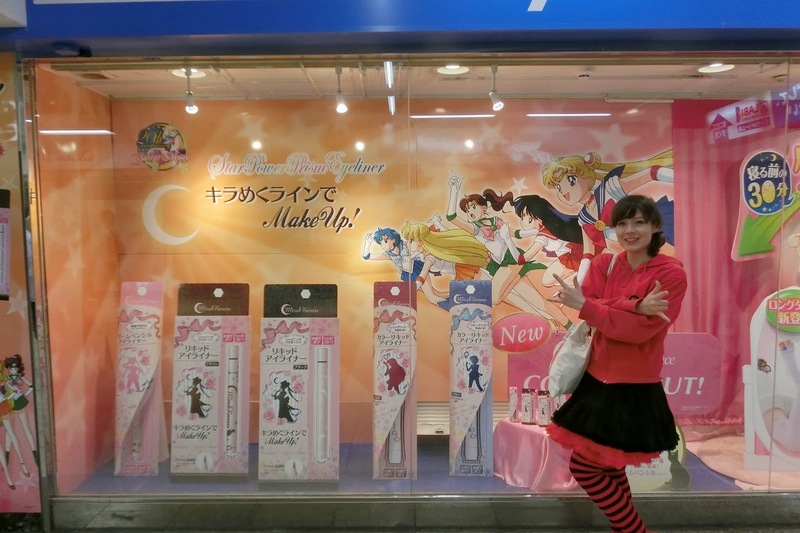 When I was there, it was mainly eye-liners in different colours (matching the Sailor Warriors) that you could purchase. 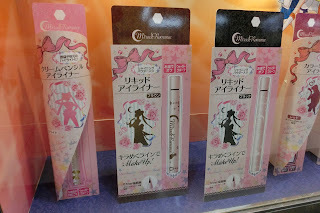 I really wanted to get my own set of Miracle Romance Eye liner, but it turned out, all those with Usagi (Serena/Bunny/whatever else she's been translated as) had already been sold out. Apparently, also shops abroad who stocked them ran out of their stock pretty quickly. Maybe with a couple of more months it will be easier to get hold of their items. They are also doing other things like powder with a mirror in the shape of Sailor Moon's brooch etc I think, but that time it was only the eye liners. Next time I see some of it somewhere I gotta get my own Miracle Romance Make Up!! If I do I will totally do a review for your guys.